Piano Craft - Whether you need to put your piano in storage or get an instrument appraisal, we can help. Located in Springfield, MO. We provide piano appraisals for insurance and tax deductions or if you need to know the value of your piano so you can sell it. Call 881-3035 to schedule an appointment. A professional piano appraisal costs $65.00. 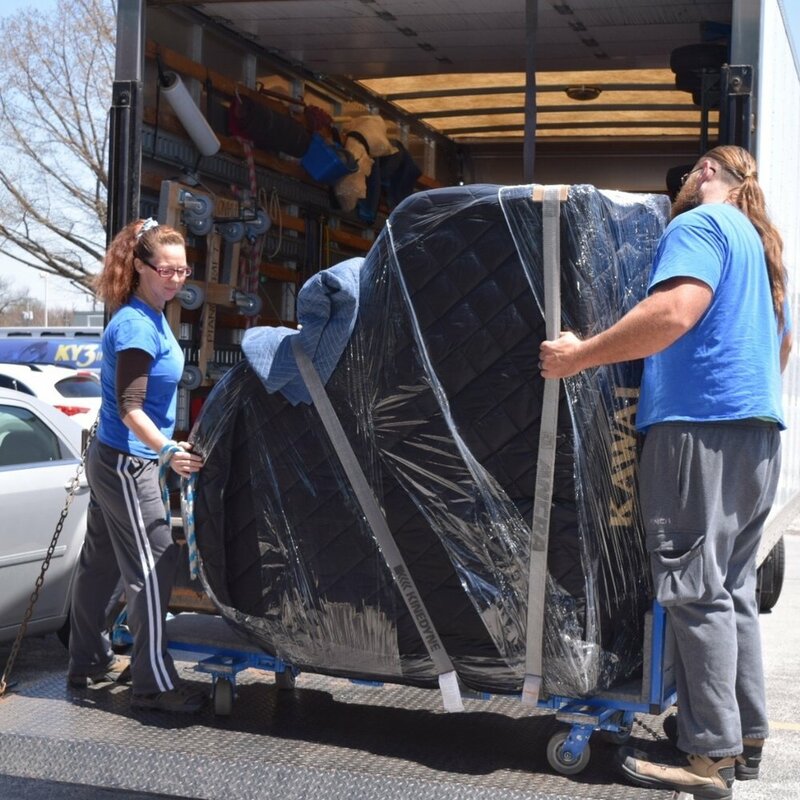 Whether you need us to pick up and store your piano for a new flooring project or long-term storage for a year or longer, we can help you. Our piano storage charge is $50.00 per month in our climate-controlled facility. Vertical piano pick-up and re-delivery fee is $100.00 each way, grand up to 6’ are $200.00 and 7-9’ grands are $300.00. Pianos are made mostly of wood and metal and are vulnerable to humidity and temperature changes resulting in tuning instability, rust and breaking of strings and key and action swelling and sticking. This system constantly monitors the piano by a humidistat, humidifier and dehumidifier and engages whichever is needed to maintain a 42% humidity level. These prices include installation: verticals $545.00, grands to 6' $625.00, grands over 6' $795.00. 4’8” to 6’11” ………..$625.00 + $125.00 installation. 7’ to 9’…………………$645.00 + $125.00 installation. Locking casters are $20.00 each and we recommend 2. Has your piano been affected by mold, mildew, house fire, cigarette smoke, mouse infestation or pet urine? We can help. We have products and skills that can eliminate a huge percentage of these odors. Call us at 881-3035 for more details about our piano restoration and detailing services. Call us at (417) 881-3035 with any piano-related questions that you may have. If we can’t solve the issue for you we’ll try our best to find someone who can. Keybed (under the keys) of a trade-in before we vacuumed it out. This is what it could look like under the keys of a used piano. We will clean this completely.